If you imagine that Dirty Jobs’ Mike Rowe was tasked with filling the cowboy boots of a rancher, it might play out akin to Activision’s Stampede. 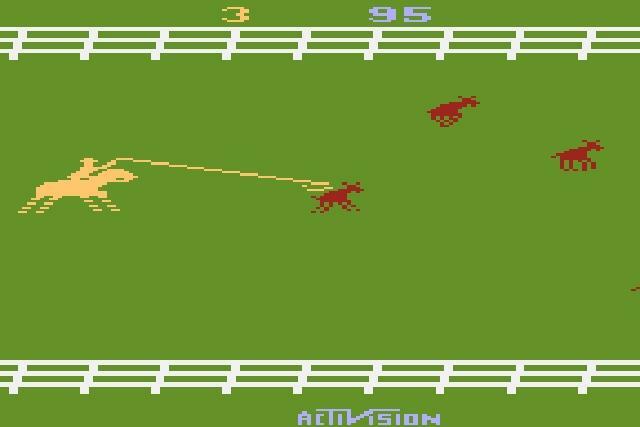 Then again, this game would be a one-dimensional look at the multi-faceted career that being a rancher entails. Plus, it looks so old! 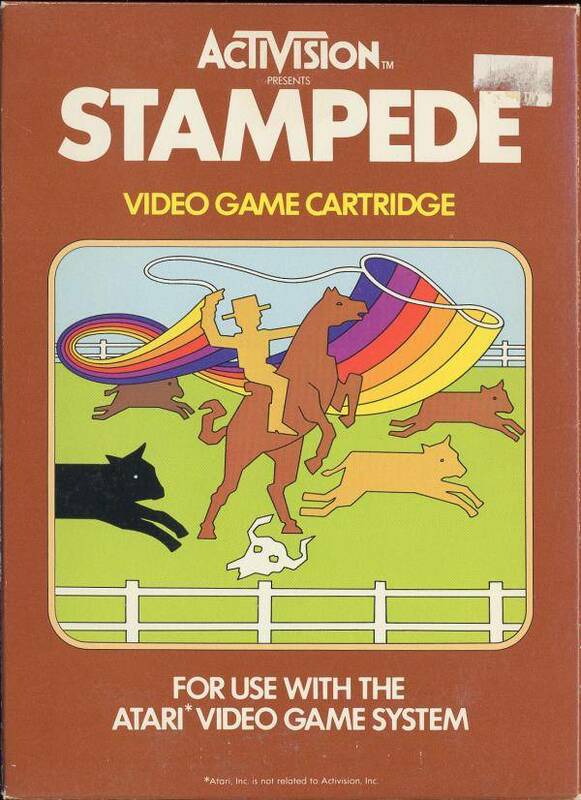 Designed by Bob Whitehead and released for the Atari 2600 in 1981 (it was also ported to the Intellivision in 1982), Stampede is right ol’ good time. Lassoing cattle is the objective and beyond that, it’s simply about getting the highest score possible. Letting three cattle pass means the end of the game and time to start anew. I didn’t like Stampede initially but with the realization that bumping into to the cattle prevented them from going off-screen and made them giddy up allowed me more of a chance to perform and this newfound mechanic turned me around on Stampede. The cattle came in a few colors, each stampeding at a different speed. With scores of north of 1,500 in games 1 and 3, players will unlock a commercial, patch, and a gameplay mode in Activision Anthology. The commercial really plays off of the game’s theme whereas the multi-screen gameplay mode screams MTV circa 1987.